Some secrets just can't stay buried, in the brilliant new Lucas Davenport thriller from the number-one New York Times- bestselling author. A house demolition provides an unpleasant surprise for Minneapolis-the bodies of two girls, wrapped in plastic. It looks like they've been there a long time. Lucas Davenport knows exactly how long. In 1985, Davenport was a young cop with a reputation for recklessness, and the girls' disappearance was a big deal. His bosses ultimately declared the case closed, but he never agreed with that. Now that he has a chance to investigate it all over again, one thing is becoming increasingly clear: It wasn't just the bodies that were buried. It was the truth. 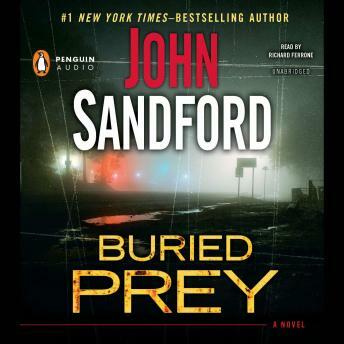 Each of the Prey Series is smoother than the last. John Sanford has confidence in the trust of his audience by not focusing on all of his major characters in every book. They ebb and flow or is Lucas the only major character of this series. Maybe.